Enjoy this this fully furnished, four bedroom remodeled duplex that is light and bright with vaulted ceilings and a great open floor plan. Bachelor Springs is an intimate gated community located on the eastern edge of Arrowhead that enjoy shuttle service via Dial-a-Ride to the Arrow Bahn Express ski lift. 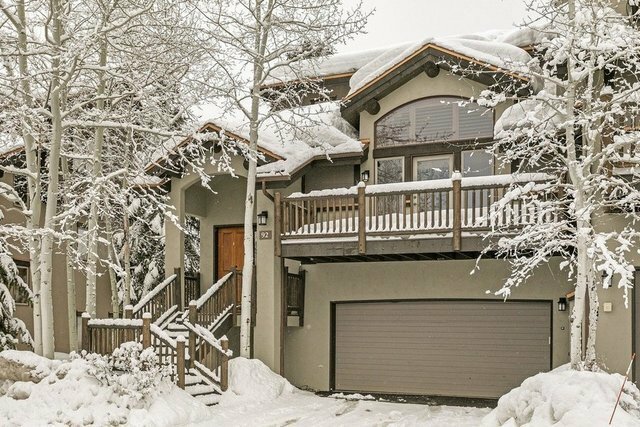 Minutes to world class skiing or restaurants and shopping in Edwards, Avon or Beaver Creek. No transfer tax, no resort fee. Great rental revenue potential. Large private hot tub off back deck.